Welcome to Square Deal, our online shop where you can buy spare parts & accessories for all your home appliances on the market today. We have 2 high street shops in Dunstable, Bedfordshire. 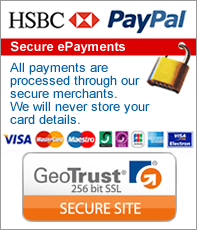 We are one of the lowest priced web sites because we have no hidden postage and packaging costs or confusing cash back gimmicks. We have over one million spares / accessories available direct to your door, if you cannot find it on this website, please just email us, or call us on 01582 603037 and we can either list it right away for you, or take an order over the telephone (goods can only be sent to card registered address). We have been established since 1975 selling household spares and appliances so we have a vast knowledge of all aspects in this trade. 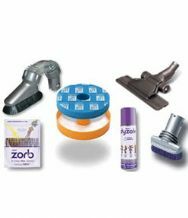 We sell almost everything you can think of for home appliances such as Vacuum Cleaner Bags, Filters, Motors, belts, Brush roll, Hoses, Tools, Kettle Filters, Washing Machine Spares, Cooker Spares, Tumble Dryer Spares, Bread maker spares, Coffee Machine Spares, audio leads, PC extras, leads, visual accessories, audio accessories etc. If you can't find what you're looking for on this site we can almost invariably find it for you. Just supply us the make, model and the description of your appliance and the part that you're looking for and we will try our hardest to find it for you. We are always improving Square Deal by adding more products by having daily updates for all the new models of appliances that are released.